We are based in Washington, DC, in the Game Lab and Center for Media and Social Impact (CMSI) of American University; our group is led by Dr. Benjamin Stokes. 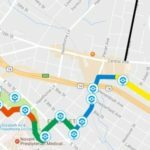 The DC Storytelling System launched in collaboration with the Smithsonian and DC Public Libraries as a new approach to circulating stories of local history and activism tied to neighborhoods and civic institutions. 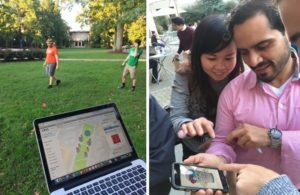 Cities Remix a Playful Platform (June, 2018) — the first large-scale investigation into how major cities remixed and aligned Pokemon GO to advance their own goals, from “open street” festivals to neighborhood library walking tours. More broadly, the report hints at the future of cities as participatory spaces, and how playful engagement with the data layer can connect disparate groups and organizations. Game Impact initiative — rethinking how we conceptualize our categories of impact with games, and reducing fragmentation. In partnership with Games for Change, with funding from the Packard Foundation. Be in touch! You can reach our group through Benjamin Stokes: bstokes@american.edu.